Experience expansion like you never dreamed possible. 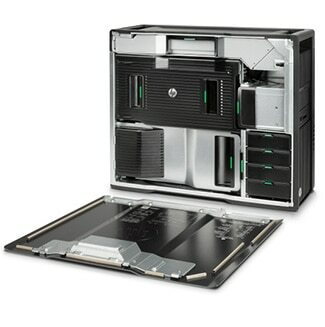 With 7 PCIe slots, up to 10 internal drive bays,* and 16 memory slots supporting up to 2TB of memory2 the HP Z840 can do it all. Maximize your time and increase your capabilities with built-in USB, SATA and SAS ports. 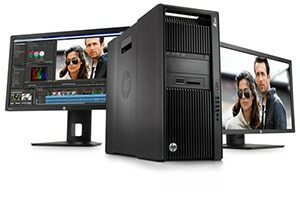 Set a new performance curve and reduce boot up, calculation, and graphics response times and revolutionize how you handles large files with the HP Z Turbo Drive9. And thanks to Thunderbolt™ technology, you'll transfer data at lightning-fast speeds with the ability to connect to high-resolution displays and high-performance data devices over a single Thunderbolt™ cable. Ready to get going? Reach your goals. 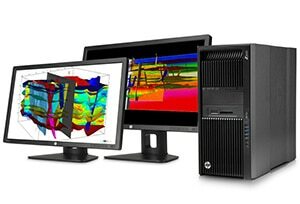 The sleek and sturdy HP Z840 Workstation features uncompromised reliability, a tool-less chassis to facilitate upgrades, a lockable side panel to secure your valuable components and data, and handles to easily move the system around. The system’s elegant industrial design also boasts low acoustics, dual integrated Gb Ethernet, and aluminum panels. And this deskside powerhouse is also 5U rack mountable.